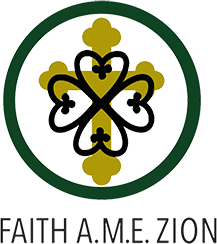 The ministry of the Board of Trustees includes duties and responsibilities assigned by the A. M. E. Zion Book of Discipline. They include: (a) responsibility for the physical maintenance and safeguard of the real property, physical equipment and all other assets owned by the church; (b) to insure that order and decorum prevail in the church at all times; and (c) to perform the duties of the stewards where there is not a duly constituted Board of Stewards. The ministry of the Board of Stewards includes duties and responsibilities assigned by the A. M. E. Zion Book of Discipline. They include: (a) receiving and making an exact account of all funds for the support of the church’s ministry; (b) providing a parsonage or other housing arrangements for the pastor and the pastor’s family; (c) providing relief for members in need; and (d) assisting the minister to promote and encourage spiritual growth of all members of this society. The Christian Education Department is made up of various departments of the local church. Its duties are: (a) to make provisions for the organization, guidance and supervision of Christian Education of children, youth and adults in the local church; (b) to provide a unified and coordinated program thus eliminating over-lapping and unnecessary duplication; (c) to make policies to govern the work and involve a cross-section of the congregation in planning for the Board and Department. The Deaconess Board is a group of women with deep spiritual values and high moral character, consecrated by the Pastor. The women (a) visit the sick, the un-churched and shut-in; (b) counsel the lonely and depressed; (c) pray with and for those who desire prayer; (d) assist with the Sacraments of the Church, i.e., assist candidates and prepare for Holy Baptism and make sure the proper garments dress the Altar. The ministry of the Board of Stewardesses includes duties assigned by the A. M. E. Zion Book of Discipline. They are to (a) assist the Preacher’s Steward; and (b) make provisions for the support and comfort of the Pastor and his family. Members of the Usher Board serve as doorkeepers for the church. Members should be at post 25 minutes before service in order to receive your assignments from the head usher & greet everyone with a friendly word and a smile; be sincere and natural. Ushers should be alert in case someone becomes ill or there is an odd situation during the service and offer help quietly. Be personable and warm in ushering people to their seats. Seat worshippers at the appropriate time. Be watchful because minister or head usher may make special requests during the worship service. The Class Leaders attend Class Leader meetings; visit members that are absent; visit the sick; and report to the Pastor the spiritual & physical conditions of all members on her/his class. The purpose of the Stewardship Team is to ensure adequate payment/attention to recurring, occasional and/or one-time church expenses. This ministry is directly involved with the day-to-day function of the church’s finance accountabilities. Acolytes – The Ministry of the Acolytes includes participation in the Sunday Morning Worship Service by lighting the altar candles to call the congregation to worship and extinguishing the altar candles. The Daniel Ministry centers on intercessory prayer. The ministry conducts intercessory prayer weekly for the lost, the ill, those with different types of trials in their lives, the church, staff, church leaders, missionaries, the country, military, the community, and the ministries of the church. The Media/Technology Ministry provides audio/visual support, recordings or presentations of/for church services and special events. This ministry also works to share information about our church, its mission, vision, ministries and events through printed forms of publicity, electronic media, and word of mouth. Men of Faith seeks to meet the spiritual needs of the men in the church, community, workplace and home, through prayer and fellowship; to help men realize their spiritual gifts through consistent programs of Bible study. It challenges men to understand the need for being great male role models and witnesses for Christ. Women of Faith offers opportunities for women to grow spiritually serve faithfully and strengthen their love of Christ, the Church and one another. The ministry allows women to bond in sisterhood through activities that enrich their lives and the communities they reside in. The Music Ministry provides spiritual inspiration through song for all major services of the church. Music Ministry members should be ready and robed at least 15 minutes before worship services begin at home or at visiting churches & attend faithfully choir rehearsals, so as to provide the best in quality singing and service. Members should see that the written music for all special selections is in its proper place at all times. Following usage, each member should remove and hang carefully and properly their choir robe. The Health Ministry is comprised of medical professionals and health service providers from throughout the church. They provide information promoting awareness to sensitive health issues (breast cancer, diabetes, nutrition, high blood pressure, heart disease, etc.). Members of the Health Ministry provide medical assistance and emergency first aid to individuals during worship services and other church activities. The Culinary Ministry purpose is to keep the kitchen, dishes, appliances & other relative items clean and in good working condition. This ministry provides guidance on the policies for the use of the kitchen & related equipment/items. The Culinary ministry also provides refreshments and/or meals for special days upon request and help to ensure the kitchen is available to other authorized persons or organizations to whom may need its use. Serves in effort to be a light and witness of the Gospel to all by declaring that Jesus Christ is Lord. Provides FREE bread and baked goods weekly to the community. Deliverance service each Tuesday at 10am. The Progressive Club of Metro Atlanta is an outreach organization for AME Zion churches in Metro Atlanta. The Club works to assist any of the church organizations with donations and support. They donate annually to a coat fund for children and host a Palm Sunday Activity. The Ministry of the Lay Council focuses on: (a) deepening the spiritual life of the laity; (b) disseminating information; (c) cultivating denominational loyalty; (d) expanding the denomination through education and evangelism; and (e) promoting the Kingdom of God. The primary function of this position is to provide administrative support for the life of the Church. The Administrator collaborates with the clergy, staff and lay leadership to provide administrative support for the ministries of the congregation. The Administrator is responsible for communications systems; record keeping; financial bookkeeping; coordination of building use, access, and maintenance; public relations; and general administrative support. Duties for Volunteers are based on completion of the Faith Works Administrative Training Program and include but are not limited to serving as the church receptionist to answer phones and questions, assist with mailings and publications, and other simple office tasks. The Clothing Ministry is dedicated to providing clean clothes for men, women and children in the surrounding community, our congregation, and countries around the world. As an outward expression of Christ’s love, we hope to meet the practical needs of those seeking assistance. Our mission is to keep seniors involved, informed, in prayer and fellowship with each other and seniors in the community. Administrate, maintain and develop the various online media platforms including the website and Social Media accounts.